Almost every retailer needs to hire a few seasonal employees to keep up with the increased demand in November and December. If you work these seasonal employment jobs, it really is a good way for you to get in on the ground floor with the employer. You will have a great opportunity to make a great impression and turn the job into a permanent position for you. You need to get your plan together today. Decide now on a sheet of paper what companies you want to work for permanently, then go get an application. When your interview call gets here, do not forget to take a resume with you. Tell the employer that you are interested in a permanent position if one would open up in the future. During the interview, always ask if permanent employment is even an opportunity for you. Ask if they ever bring seasonal workers on in a permanent role. You will be able to find out whether or not you will even have a chance to become a permanent employee. If you do get the position, now is the time to show them what you can do. Work very hard, and be friendly. Show them that you’re reliable by being on time every time. Go ahead and give them that little extra. You need to make the employer want to keep you around because you are such a great worker. When the Christmas season is over push the supervisor a little, ask how you can apply for a permanent position. 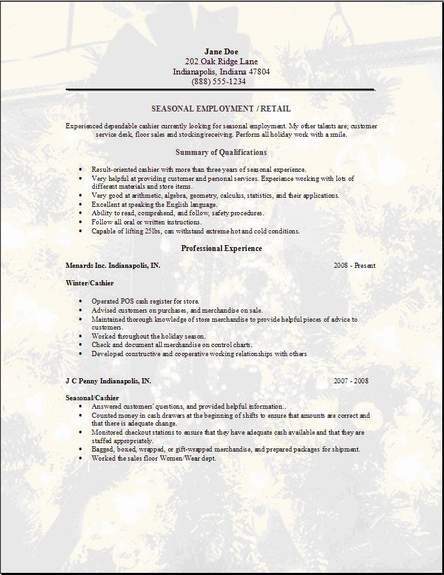 A seasonal employment resume is supplied in three formats that are most popular. You should only use them as a guide. Replace all information. You will then know afterwards the format that is best too choose. If the design needs changing, do it, experiment to satisfy your likes and dislikes. 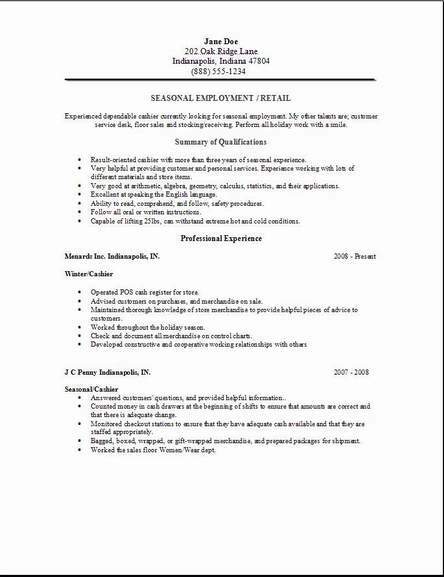 Go ahead, just shout to your friends where you were able to find your free formatted resume. 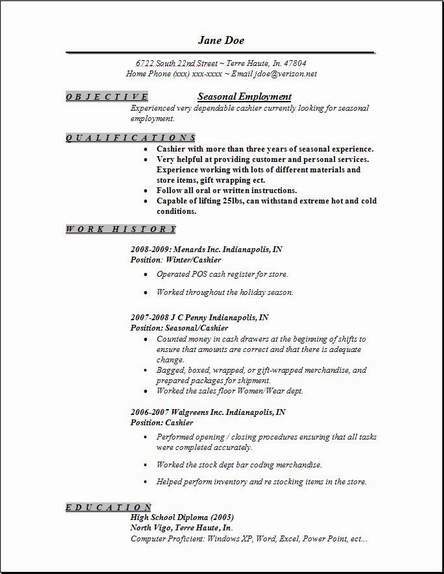 The seasonal employment resume template was added recently and gives you the option of having 3 very useful formatted resumes. You can work with all 3 on your own and add some spice to them. Downloading these free templates today, start to work immediately. Send me an e-mail later. Your comments mean a lot to me so keep them coming.